1. Cameras at day care are awesome. Yes, for the obvious peace-of-mind factor because you can check up on your little one throughout the day and see that they are happy and fed, but also for the entertainment factor. Watching finger-painting time with seven one year-olds is just plain fun. Paint is everywhere, smocks are flying off, and randomly a kid will bolt for another part of the room with two very paint-filled hands. Thank goodness for patient day care teachers. Watching it all unfold from my clean, quiet desk at work is more entertaining than a TV show. 3. 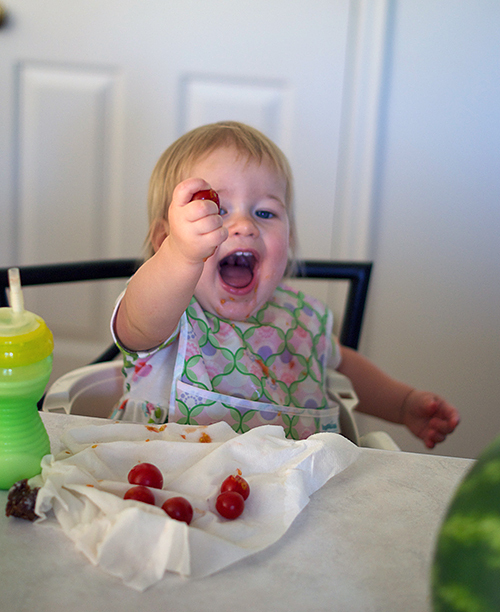 I love cherry tomatoes, but turns out that Amelia loves them just as much. Girlfriend and I ate almost a pound of them by ourselves one evening. I thought about cutting her off but figured tomato harvest time doesn't last long so she might as well get to enjoy it, too. 4. 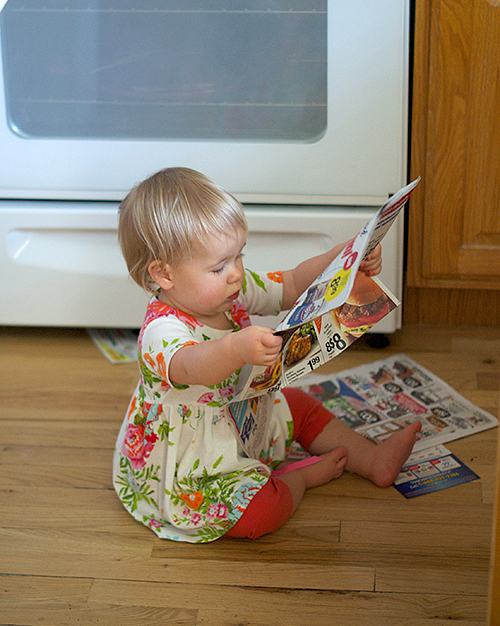 One of the cutest things in the world is watching Amelia "read" the food ads that come in the mail. She'll pick though them all, look through the pages, and then scatter them randomly around the floor. Adorable. She is beautiful!!! Thanks for sharing her. I'm gorging myself on zucchini and tomatoes right now. I can't seem to get enough! You're so lucky you have a neighbor with a blooming garden! Maybe Amelia will make a great coupon clipper one day! She is too cute. awe...Love the pic of her reading the ads. What a cutie! 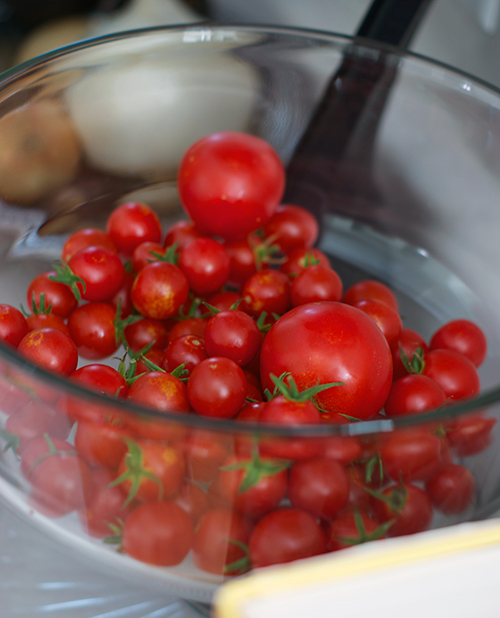 I wish I had a garden to get fresh tomatoes from! I've grown my own for the past few years, but not this year. Too busy and slowly, not enough sun in my backyard for a good crop. Have a great day Nicole!